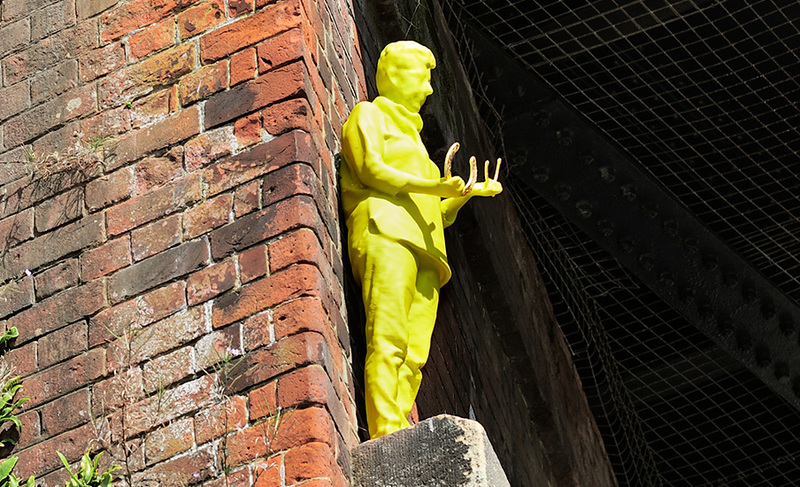 For the 2014 Triennial, Folkestone-based Strange Cargo (under the leadership of Brigitte Orasinski) was invited to create a ‘monument to the future’. The response was to focus on the idea of ‘luck’ (or destiny, fortune) as being a concretisation of the future. 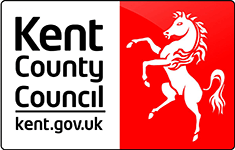 Over 650 local residents responded to the call for ‘lucky information’ and four ‘lucky participants’ were chosen to represent different age groups. 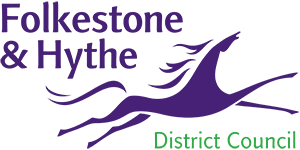 They were digitally scanned using cutting edge technology and then 3D printed to become representative, lucky icons for Folkestone. The four figures are shown clasping golden examples of the most popular symbols of luck (determined through the research process), and are resplendent in the colours they most associated with ‘their’ luck. 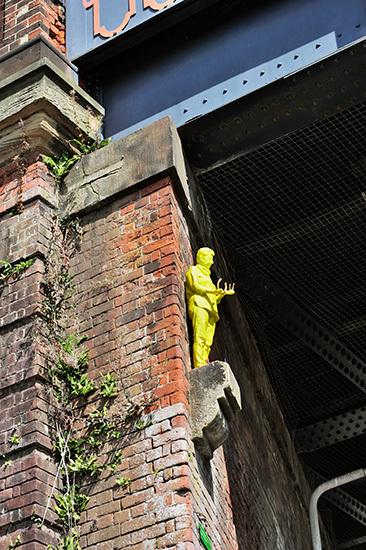 The Luckiest Place on Earth is installed beneath the railway bridge over the main road at Folkestone Central Station. 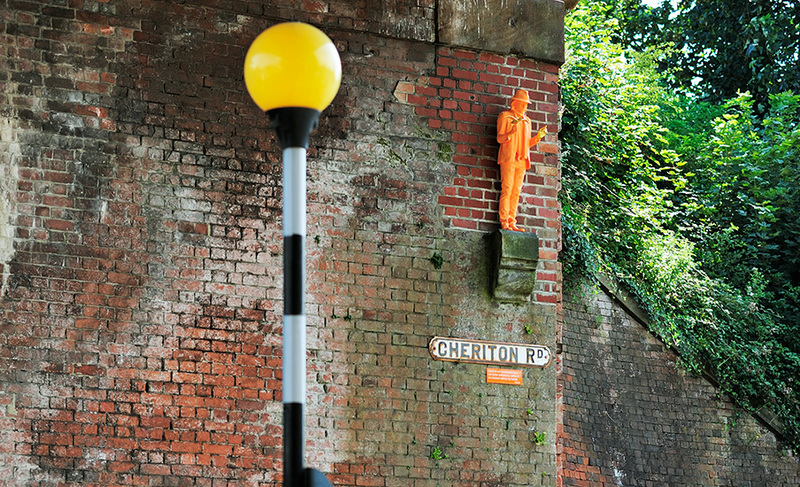 It has the effect of transforming the bridge into a Lucky Gateway to the town through artistic sleight of hand. 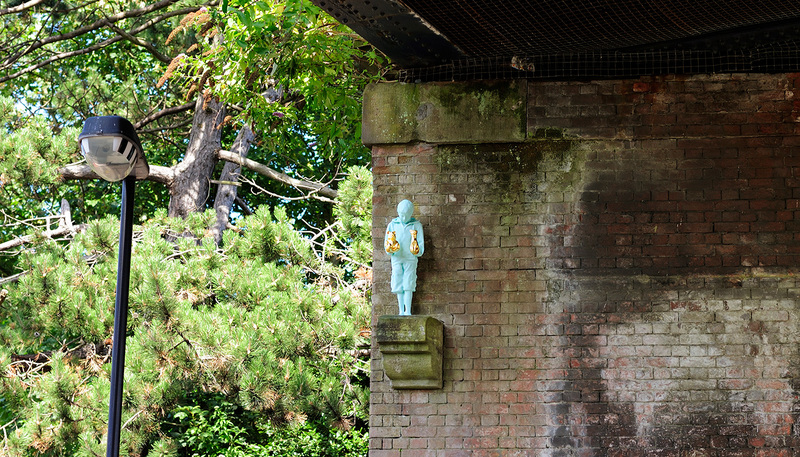 To support the figures, it makes use of existing (but previously unused) plinth-like structures on the brick built bridge walls, a little suggestive of the plinths in churches supporting medieval statues. Below, at pedestrian street level. 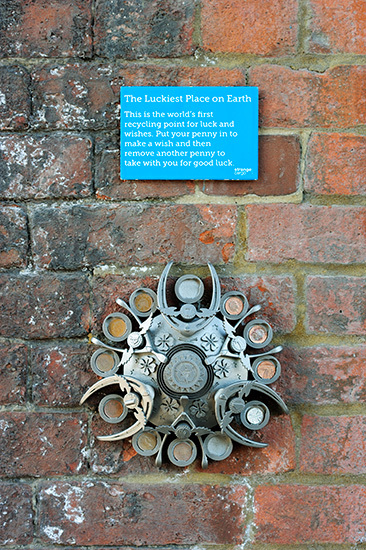 the Recycling Point for Luck and Wishes is embedded in the bridge structure alongside the street crossing; a disc-like receptacle that invites passers-by to deposit a penny to make a wish, or to take a penny away for good luck. Strange Cargo invites us to affirm our own perception and relationship to luck, and how our attitudes might affect our future.